When you get to NZ leave your jackets and ties at home and be prepared for a friendly relaxed and very casual attitude. To everything! Casual is very much the norm, which from a practical Dutch point of view is great! You will notice it when you get through customs at Auckland Airport where you’ll get a smile and a ‘welcome to new Zealand’ instead of the scary looks and grumpy words you get crossing some other borders. One kiwi favourite pastime is having a BBQ with some friends – a very casual one of course! Everybody ‘brings a plate’ ( your own meat or a salad), some beers and hangs out on the deck or the back garden. You probably end up playing some cricket or toss a rugby ball around. In the city you may see some suit wearing guys and girls and when you do, you’re probably near the area where the legal firms and financial institutions are situated. For some reason they hang on to the belief that to be taken serious you have to be in an uncomfortable suit. In most other organisations something’s up when you wear a tie. Or a jacket. And you’ll notice lots of bare feet. You’ll se it everywhere: kids going to school in an otherwise mandatory school uniform, in supermarkets, at the petrol station. This has nothing to do with shoes not being affordable, it’s the kiwi way. Kick your shoes of when you can! And keep this casual culture in mind when you go out for dinner. Don’t worry about suits and ties, you will most likely be overdressed if you do . The rule on many establishments is not around ‘must wear a tie’ but more to let people know it would be appreciated if they wear at least some shoes! 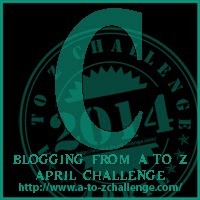 This entry was posted in A to Z challenge and tagged a to z, c, casual, kiwi, nz. Bookmark the permalink. I can see why a lot of South africans love NZ. Very similar lifestyles. It sounds like I need to move to New Zealand. if you have the chance, i would recommend it! I would love to visit NZ, but likely not going to happen soon. I love the casual attitude, same as in here, in Los Angeles. Great post. thanks for your comment. i have been to LA but only a few days. Great to hear you’ve got such a relaxing lifestyle too. you certainly have the climate and the beautiful surroundings for it!